Empowering sites designed to improve your health, vitality, wellness, as well as your appreciation for nature, outdoors. We have four sites focused on life, health, wellness, vitality, travel, and the outdoors. We consider spending time in nature as an extremely important component of wellness... and equally important is healthy eating, including eliminating processed foods and sugars. 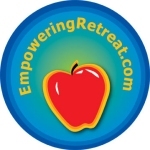 EmpoweringRetreat.com is our main wellness site. It includes a wide variety of free expert content related to these topics: health and medicine, fitness and exercise, food and nutrition, spirituality and religion, serenity and well-being, and work-life balance. It also includes links to the best sites and blogs on all these topics. 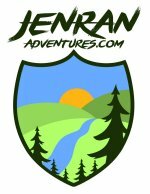 EmpoweringParks.com is a site designed to inspire you to get outside and visit one of your local state or national parks. It celebrates the transformative nature of our state and national parks, forests, lakes, rivers, seashores, and all open spaces. Find pictures, guides, and links to help you plan your next visit. EmpoweringAdvice.com is a stie designed to provide practical and useful life hacks, tips, tools, suggestions, how-to articles, and more for succeeding in key aspects of life, career, relationships... living, camping, traveling, and adventuring. JenRanAdventures.com is a travel and nature blog that follows the adventures of EmpoweringParks.com's Randall and Jenny Hansen, along with all their amazing photographs, as they travel around the United States. RandallSHansen.com -- official site of Dr. Randall S. Hansen, CEO of the EmpoweringSites Network, and a marketing educator, guru, and entrepreneur. With appreciation, EmpoweringSites.com has adapted a page design by Matthew James Taylor.